Third row (upward) from left : Nadine Telemat, Therese Fife-Smith-Carydias, Magda Abdel Kader, ?? (hidden face) Joy Akel, Silvana Pironi-Penso, Therese Minas, Salma Boutros. 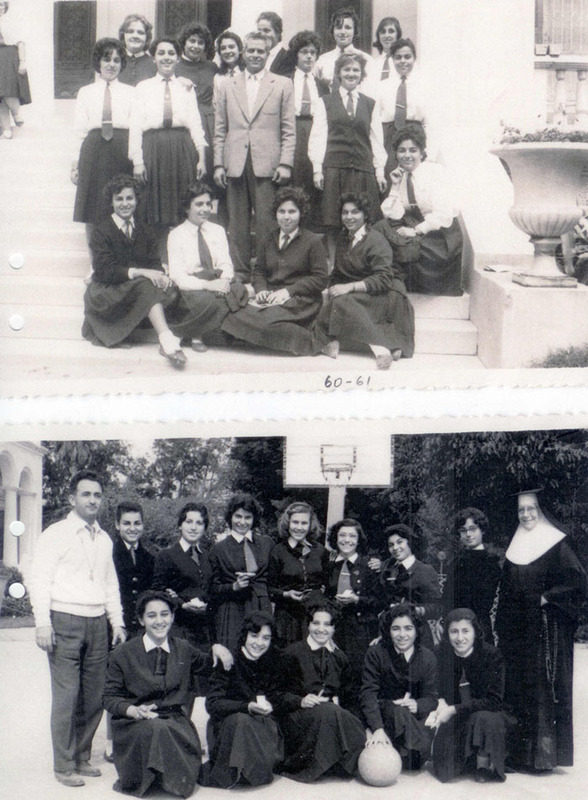 First row (downward) from left : Nagwa Ali Salem, Zewart Matossian (Cissy Holm), Nayla Abdel Hamid, Sonoa Yehgyaian. Who is the girl ? ?